We help practitioners and teams design new narratives that free them to live and work with more compassion, courage and clarity in any moment. Our vision is to be the world’s leading resource for facilitating real change in real time and, in so doing, to plant the seeds for a more sustainable future. Brought to life by master coach and industry pioneer, Dr. David Drake, the Institute has grown from its roots as a boutique consulting firm, evolving into the Center for Narrative Coaching and Design 15 years ago, and now emerged as The Moment Institute; a culmination of all our research, practice, consulting, and learning up to this point. The Institute offers multiple programs designed to bring the transformational work of narrative to people around the globe, and help you integrate what you know at a higher level. The work of the Institute is based in Narrative Design: a unique and integrative approach to learning and development that starts with our own stories. It is the foundation for our ongoing study of how to facilitate real change in real time. We are calling for a return to more natural human rhythms and a shift from hype to hope. This can be seen in the lotus as our logo, where east meets west. We are grounded in the mud of our common humanity (what is), yet reach for the sky for our own growth (what if). The Moment Institute is also the home of CNC Press, the publisher of David’s books and other licensed materials by David and members of the Institute community. 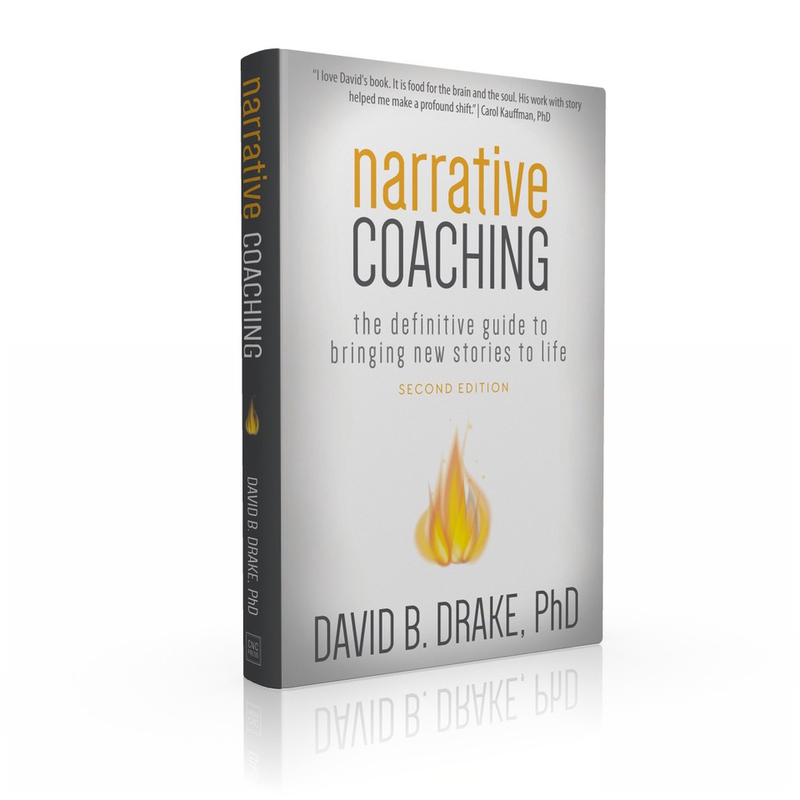 To learn more about Narrative Coaching, pick up a copy of David’s latest book: Narrative Coaching: The Definitive Guide to Bringing New Stories to Life Second Edition.